Has Your Child Been Injured in a Bicycle Accident in Queens? When careless motorists in Queens, New York fail to notice children on bicycles, the children can be left with severe and life-threatening injuries, and families left with severe emotional and financial hardship. 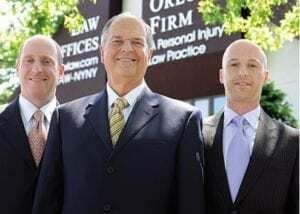 At The Orlow Firm, we are dedicated to standing up for the rights of injured children in bicycle accidents in Queens. Our lawyers have extensive experience handling bicycle injury lawsuits, and have a proven record of success winning results for our valued clients. Contact our Queens child bicycle accident lawyers today to speak with an experienced attorney. Drivers of cars and trucks must exercise caution when operating vehicles around bicycle riders. This obligation is even greater when it is children who are riding on bikes. Child bicycle accidents in Queens are often the result of speeding and reckless driving, distracted driving, and drunk driving. Also, children are held to a lower standard of carefulness when riding a bike than adults. For this reason, the defense has a greater burden to prove contributory negligence (the share of fault carried by the accident victim). Child injuries are especially troubling because the injury may affect the child for the rest of his or her life. Our attorneys understand the importance of obtaining compensation that is sufficient to compensate for the full scope of damages — today’s and far into the future. Has your child been injured in a bicycle accident? If so, contact our Queens car accident lawyers today for information regarding your legal rights. Call (646) 647-3398 today to speak with an attorney.